← Why Are We Still Holding Bake Sales to Pay for Health Care? Several pro-consumer bills have cleared their first hurdle and are headed for votes in the House and Senate. Any legislation that improves cost, price, quality or access issues in our health care system can be considered “pro-consumer”—but these specific bills address direct health care costs paid by the consumer. 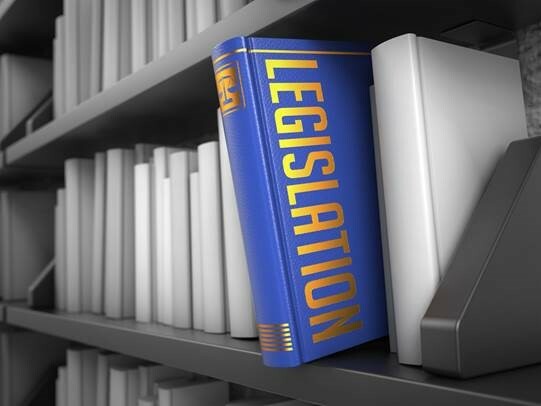 Senate Bill 993 requires providers to post their facility fees publicly. There was also Senate Bill 809 which would have taken a more aggressive stance against facility fees, but that bill did not make it out of committee. Senate Bill 993, which would require hospital-based facilities that charge facility fees to “prominently” display this information in their facilities and on their website. This doesn’t eliminate these fees, cap them, or explain them, nor does it require insurance coverage of these fees—it only clarifies to the patient that they will be charged more for services. This bill is a small step in the right direction, but it does not go far enough. Senate Bill 808 seeks to protect consumers from surprise billing (like those discussed in last Monday’s guest blog by Joseph McDonagh). Senate Bill 808 defines surprise bills are those where patients are charged for services from out-of-network providers without having chosen to use an out-of-network provider. An example of this is the out-of-network doctor who enters an operating room during a surgery and provides services while the patient is under anesthesia—and then the patient is charged the higher out-of-network price of this doctor, even though the patient was out cold and was unable to consent or choose. This bill, if passed, would be a strong measure for consumer protection, establishing a dispute resolution framework for these incidents. This is one of the bills from the proposed package of nine bills from Senators Looney and Fasano. Senate Bill 9 makes changes that strengthen our insurance rate review process. Instead of rates going into effect automatically 30 days after being filed with the Insurance Department, the rates can’t be used until approved by the Insurance Commissioner. While this is certainly a move in the right direction, it is, again, not enough. The rate review process should be inclusive and empowering for consumers, as they are ultimately the ones emptying their pockets to pay the health insurance premiums. House Bill 6867 empowers the Insurance Department and the Office of the Health Care Advocate to ensure network adequacy for those with health insurance. Network adequacy requires that there are enough providers in a geographic area to provide services covered by a health insurance plan. Think of it like this—if you’re covered to see a cardiologist, you should be able to find a provider in your network within a reasonable distance. If you’re covered for mental health services, there should be an adequate number of providers that accept your health insurance plan. This bill is promising, but the true test will be in implementation. As we have noted before, this session has numerous health care-related bills but they are piecemeal at best. Legislators are playing “wack-a-mole” with health care issues, addressing them as discreet, separate problems. That’s not how health care really works. These bills are in the right spirit—trying to protect consumers from a costly, complicated system—but the protections could be stronger and the legislation more coordinated. If these bills pass, we will be moving in the right direction, but we will still have a long way to go. It is remarkable that almost all CT hospitals are non-profits – who by its definition should have the public good as its primary mission. Yet, we need additional legislation (or arm-twisting) for it to disclose fees & costs (price-transparency) for the public to know and benefit from.